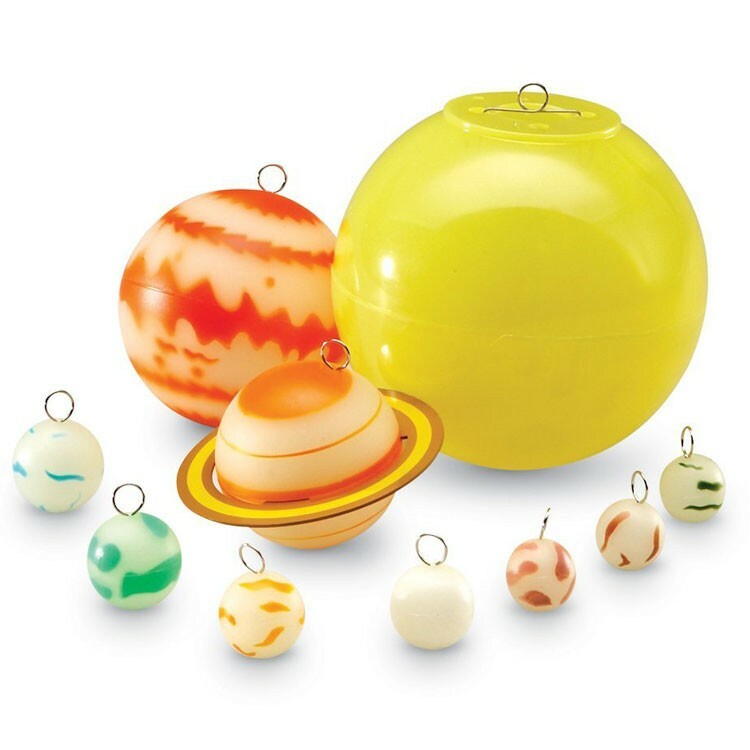 This science toy gives you everything you need to build a proportional model of our Solar system, and hang the whole thing from your own ceiling! 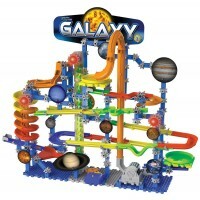 Blast off into outer space fun! 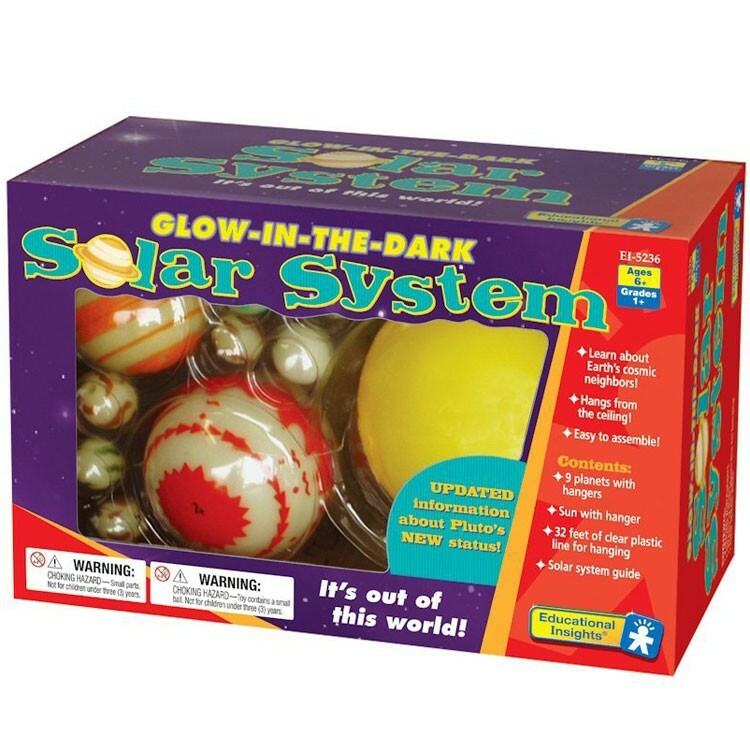 The Glow in the Dark Solar System by Educational Insights lets you construct your own hanging solar system that really glows. 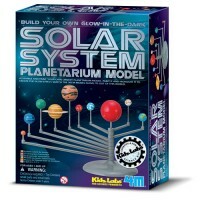 This unique activity set from Educational Toys Planet gives you everything you need to build a proportional model of earth's solar system, and hang the whole thing from your own ceiling! 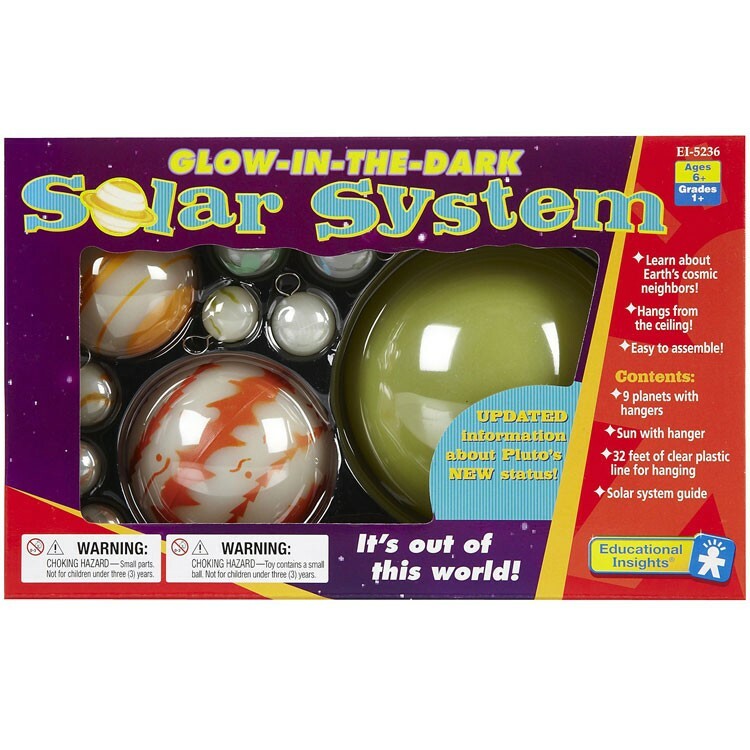 The Glow in the Dark Solar System features hangers, 32 feet of clear plastic line, and 10 durable plastic spheres representing the sun, 8 solar system planets, plus the dwarf planet Pluto. 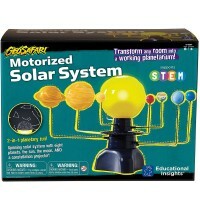 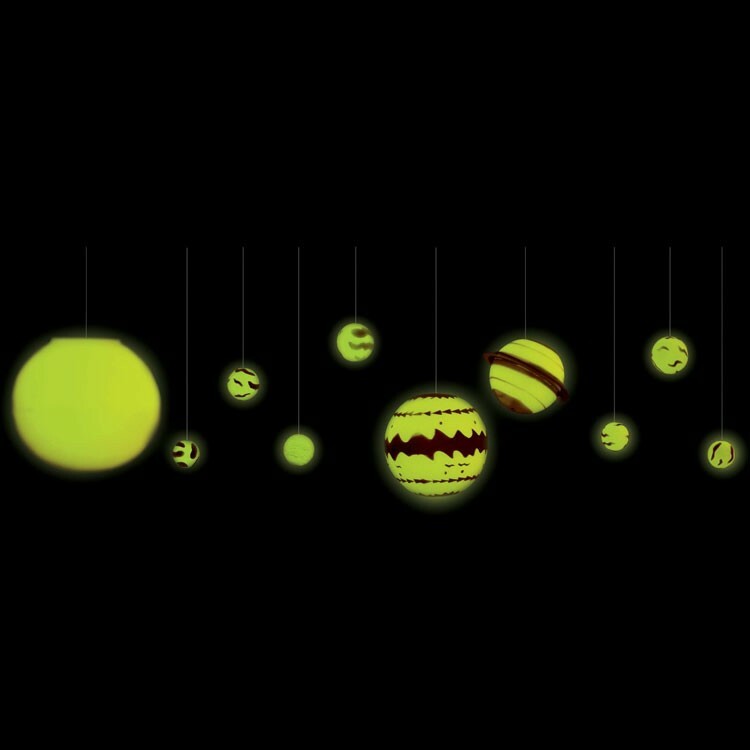 Kids of all ages will love hanging the solar system, shutting off the lights and watching the whole thing glow. 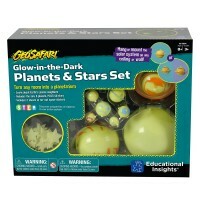 After all your planets are up and glowing, check out the included up-to-date activity guide to learn fun cosmic facts. 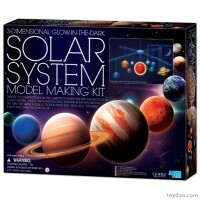 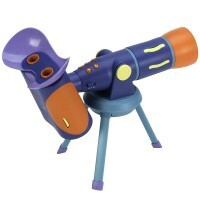 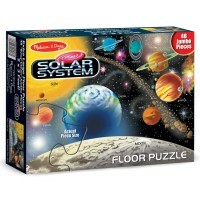 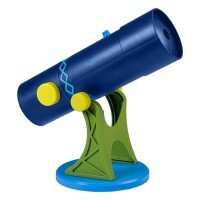 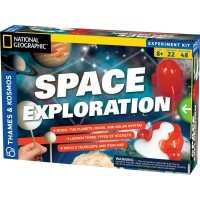 Great for home playtime or classroom learning, this set is easy to assemble and out of this world! 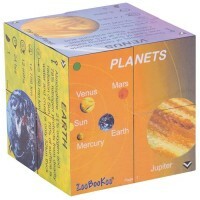 Largest piece (Sun) measures 8 inches in diameter. Dimensions of package 6.1" x 9.69" x 4.61"
Write your own review of Glow in the Dark Solar System.